The BBOED introduced a proposed $137 million budget, which requires approval from the county superintendent before being officially passed. After much disagreement among trustees and the central office and a previous budget that passed by a thin margin of 5-4, the Bayonne Board of Education introduced an amended budget on March 19 and threw out their previously-introduced budget that included a 1.99 percent property tax rate increase. The newly-introduced budget lowers the increase to 1.1 percent. It proposes $137 million in spending for the 2019-2020 school year, down from the $146.1 million the board originally voted for. The four board members who previously voted no had critiqued the board’s “lack of fiscal discipline,” “refusal to listen to reason,” and not prioritizing “Chapter 78 relief,” which would alleviate some of the health insurance premium burden on teachers. 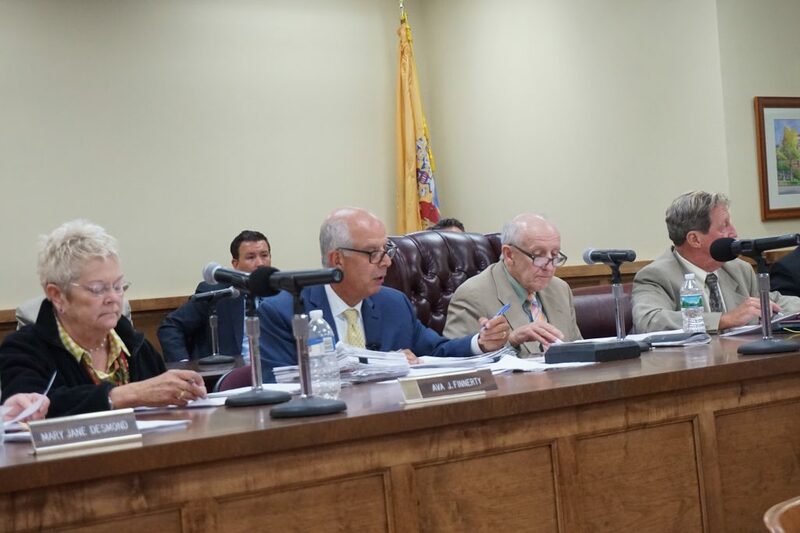 The new proposed budget requires approval from the Hudson County Superintendent and a public hearing at an April meeting before it can be officially adopted. The school district, which is funded with state aid to education and consumes about 40 percent of the taxes on Bayonne’s property owners, levied the additional taxes when the cost of running the district increased. If adopted, this year’s budget is about $7 million more than last year’s, which included a 2.87 percent property tax increase and a $68.3 million property tax levy. The prior year saw a 5 percent tax rate increase. For context, this year’s property tax increase would mean a net increase of $50 for a Bayonne home assessed at $123,000. One of the major concerns this year is the compounding effect of an ongoing citywide property revaluation. Some Bayonne properties will see increases in assessed values, which will result in higher property tax bills. The increased tax rate will be an added burden. A complete breakdown of the budget was not available at press time. Consistently, the major reasons cited by the board for budget increases are healthcare costs and staff salaries. Salaries and benefits regularly account for more than 80 percent of the budget. Last year, the Bayonne school district saw a 13.2 percent rate increase in the state’s health insurance plan; increased spending on school security; curriculum updates to math and science programs; upgrading of aging facilities (the average building is 83 years old); a growing student population; and a low reserve of funds from the district’s fiscal crisis in 2016. This year, special education costs increased by $1 million. In May of 2018, the school board ratified a four-year teachers’ contract that collectively grants teachers a 12.7 percent raise. Still, Bayonne teachers remain the lowest paid in the county. The tax rate increase comes even after the Bayonne school district received $65.5 million in state aid, up $5.5 million from last year. The district still remains $53 million short of the original funding formula, passed in 2008. “We always say this, our job is to ensure the best education you can give for what the citizen’s can afford,” Broderick said. Since 2010, Bayonne’s tax rate has increased by 23.8 percent, 8 percent higher than the state average. Bayonne has a property tax rate of $8.45 per $100 of assessed value and an average annual tax bill of $10,425, comprised of municipal, school, and county taxes. The city levied from property owners a total $183.4 million in 2018, with 14.6 percent going to the county, 42.9 percent to fund the school district, and 42.9 percent to the city coffers to pay for local services, police and fire departments. The city is still reeling from decades of disinvestment, whereby people take their residencies, businesses, and thus their property tax payments, to a different town. The result was a 2013 structural deficit that ballooned to more than $30 million. The city’s strategy to return to fiscal stability has been to attract developers to construct more properties that will one day pay property taxes. The city struck payments-in-lieu-of-taxes (PILOT) deals with dozens of developers, who will make negotiated payments to the city instead of property taxes for a defined amount of time, usually 15 to 30 years.